The United States Virgin Islands are a group of islands incorporated as territory of the United States, located within both the Virgin Islands archipelago and the Leeward Islands of the Lesser Antilles. 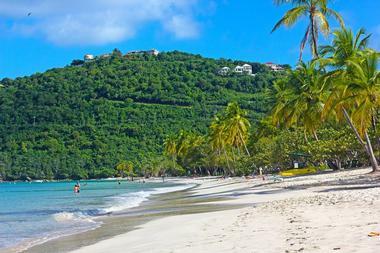 The primary islands are St. Croix, St. Thomas, and St. John, with a number of other minor surrounding islands bringing the region's total land up to an area of 133 square miles. 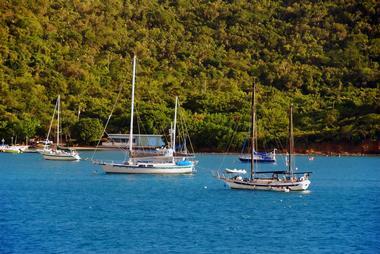 Waterlemon Cay is a cay on St. John that is named for the water lemon fruit. The cay is located within Leinster Bay and serves as the island's most popular spot for snorkeling, attracting thousands of visitors each year to observe the region's native fish, nurse sharks, sea turtles, stingrays, and coral reefs. Less than 200 yards from the cay, the Leinster Bay Plantation Ruins are visible, showcasing a former sugar factory building and a seven-foot animal round. 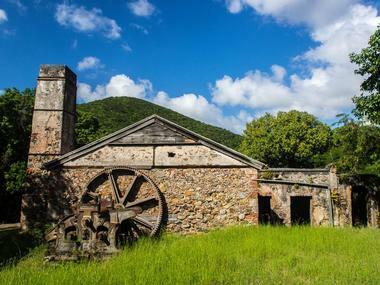 Nearby, the Annaberg Plantation Ruins showcase more colonial-era ruins preserved as part of Virgin Islands National park, while the Old Danish Guardhouse and the Windy Hill Ruins preserve buildings from the island's Danish era of rule. 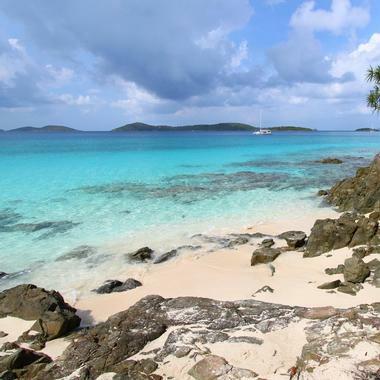 Virgin Islands National Park was originally established in 1956 to protect tracts of land throughout the island of St. John with historical and ecological significance. The park is free to enter and is accessible from Cruz Bay, which offers a visitor center providing park information and an outdoor picnic area. 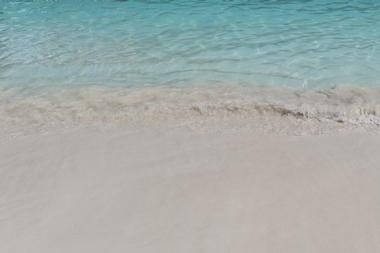 It is home to some of the world's most renowned beaches, including Trunk, Cinnamon, Honeymoon, Hawksnest, and Maho Bays. A number of hiking trails are offered throughout the park, including the six-mile Reef Bay Trail, which showcases Taíno petroglyphs and sugar mill ruins. Historic attractions also abound, including the Annaberg Historic District, which preserves a partially-restored sugar plantation near Mary's Point. Overnight mooring balls are available to boaters for an anchoring fee, and overnight campgrounds are offered at Cinnamon Bay Campground. Salt River Bay National Historical Park and Ecological Preserve is a National Park Service unit located on the northern side of St. Croix, along its central coastline bay. The park was established in 1992 to preserve the Columbus Landing Site, the site where Christopher Columbus' expeditions first arrived in the Caribbean in 1493 and made contact with the region's indigenous people. Prehistoric and colonial sites are preserved throughout the park, including the 1617 Fort Salé and a primitive ball court. The park is also home to one of the largest remaining mangrove forests throughout the Virgin Islands, as well as one of the island's two bioluminescent bays, one of only seven located throughout the Caribbean. 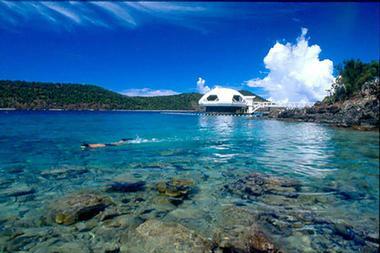 Coral World Ocean Park is a marine park located on St. Thomas' eastern end, near Coki Beach. The park was originally opened to the public in 1978 and is known for its unique underwater observatory tower, which allows visitors to descend 20 feet under the ocean's surface to view native marine life. Other attractions in the park include an 80,000-gallon Caribbean Reef Encounter habitat, which is home to a variety of native fish and marine life. Exhibits of sea turtles, sea lions, stingrays, sharks, and seahorses are showcased throughout the park, which utilizes an open-water ocean water circulation system in all of its exhibits. 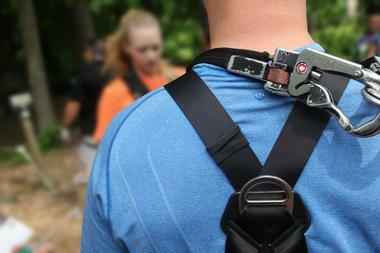 Visitor interaction programs are offered at the park, including guided tours and animal meet-and-greet opportunities. 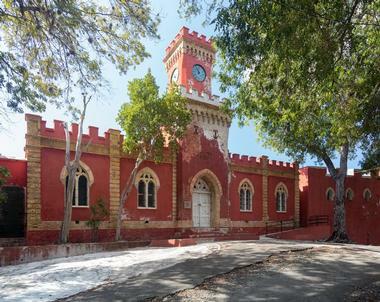 Fort Christian is a Danish and Norwegian-constructed for within St. Thomas' Charlotte Amalie, originally constructed between 1672 and 1680 as the island's first colonial settlement. The fort continued to serve as a major military camp on the island through the end of the island's Danish rule in 1917. Between 1960 and 1977, the fort was operated as a United States National Historic Site, though today it is operated under the care of the Virgin Islands as a territorial park within the Charlotte Amalie Historic District. The designated National Historic Landmark showcases a variety of historic artifacts from the island's colonial period within its St. Thomas Museum, which is open to the public Monday through Friday. Historic photos and documents are showcased, along with colonial-period furniture and exhibits on the region's flora and fauna. 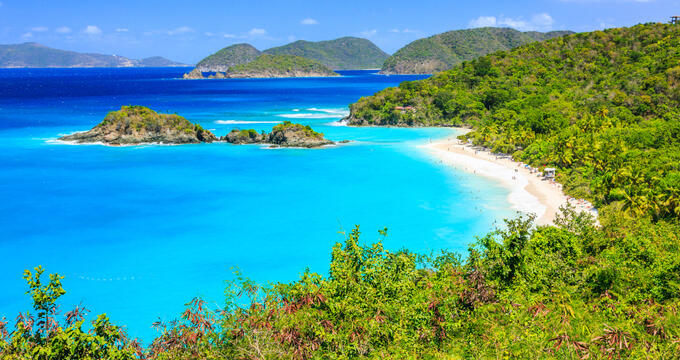 Honeymoon Beach is one of seven beaches with Virgin Islands National Park's Caneel Bay Resort, offering soft white sands and easy water access for swimmers, fishers, and snorkelers. All-day beach access passes are available for adults and children, which offer kayak, paddleboard, and snorkeling gear rentals, including masks, fins, and vests. Chaise beach lounges are also available for use with passes, along with use of locker and changing room facilities. Visitors can purchase beverages and light lunch fare at the Canella Beach Hut, including alcoholic beverages. Next door, Canella's Beach Bar sells to-go food and gelato, take-out wine and beer, and a variety of craft cocktails, including the islands' famous rum painkiller cocktails. 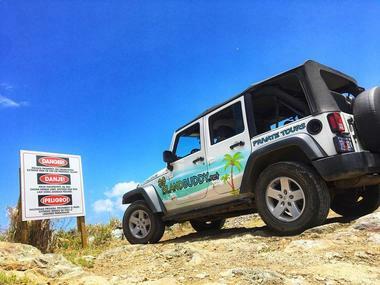 IslandBuddy Jeep Tours offer opportunities for visitors to explore historic St. Thomas and St. John aboard private excursion Jeeps, led by experienced tour guide drivers. Tours offer chances to go off-road to see some of the islands' most secluded hidden gems, including private beach areas, light-traffic nature trails, and sugar plantation ruins. All trips are private for small groups and may be customized to visitor needs, with opportunities for hiking, swimming, and snorkeling available. Snorkeling gear is included with all trips, along with beach chairs and supplies, Bluetooth accessories, and complimentary bottled water and rum punch. 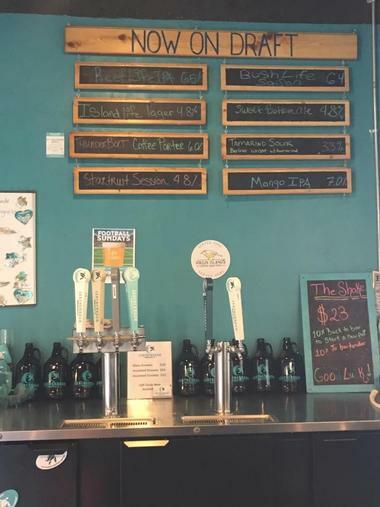 Leatherback Brewing Company is a St. Croix brewery that was opened in May of 2018 by Virgin Islands and Pennsylvania natives Aaron Hutchins, Scot McChain, John Giannopoulos, and Packy Gilbert, named in honor of the region's native leatherback turtle species. The company's brewing facility and public tap room is located within William Roebuck Industrial Park on the island's south side and offers family-friendly indoor and outdoor bar spaces. Drafts and to-go sales of the company's beers are available for purchase, including its flagship Reef Life IPA, Island Life Lager, Sweet Bottom Blonde Ale, Bush Life Saison, and Thunderbolt Coffee Porter. Food service is available during the afternoon hours, with appetizers and craft sandwiches available. Live music performances are hosted periodically, along with a variety of public special events, including trivia nights. Coki Diving Center Night Diving Tours are offered for certified divers visiting the St. Thomas region, available with proof of Scuba or Open Water Diver Certification licensing. The touring company was originally opened to the public in 1989 and has received several Best in the Virgin Islands awards for its eco-friendly daytime and nighttime excursion dives. Tours meet daily between 5:30pm and 6:30pm, depending on sunset times throughout the year. 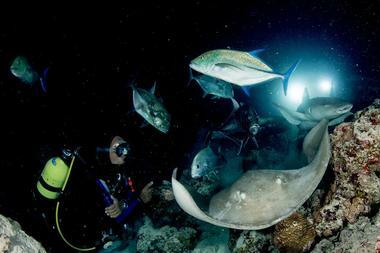 Dives last approximately one hours, offering opportunities to see marine life such as eels, stingrays, and octopuses. Underwater photography is available for sale after dives, with all excursions led by experienced tour guides. All diving gear is provided with tours, including nighttime diving lights. Parasail Virgin Islands is a St. Thomas-based company offering parasailing and other air travel adventures throughout the Virgin Islands for participants ages six and older. 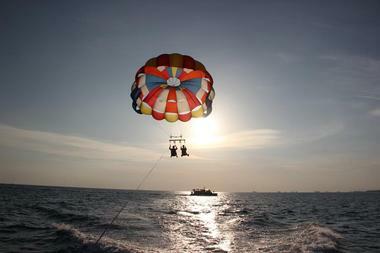 The company uses custom-built Ocean Pro parasailing technology to provide the safest experience possible, with winch boat launches allowing participants to ascend into the air without getting wet. Groups of up to 15 passengers are able to launch from boats at one time, allowing accommodations for small group tours. Each flight lasts approximately 10 minutes, with adventures lasting approximately one hour from launch to harbor return. Ballooning and gliding adventures are also offered throughout the St. Thomas and St. John region. Reservations are strongly recommended, with a non-refundable security deposit required to hold passengers' places for boat launches. Point Udall is the easternmost point of the United States' lands and territories, named in honor of United States Secretary of the Interior Stewart Udall, who served as part of the Kennedy and Johnson presidential administrations in the 1960s. 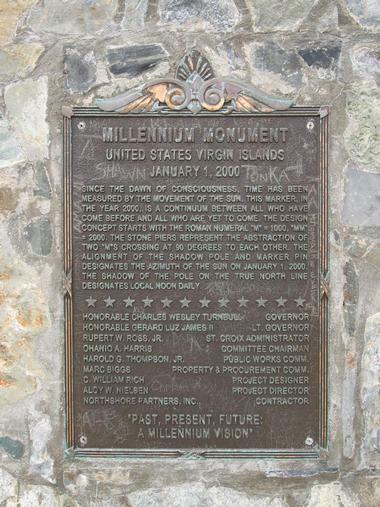 The point is located along St. Croix's eastern end and is commemorated with a sundial monument, indicating the site's status as the first part of the United States to receive the sunrise each day. The monument, named the Millennium Monument, was constructed in 2000. It also serves as a trailhead for an informal trail to the point itself, which features an uplifted volcanic rock surface overlooking the island's brilliant blue waters and barrier reefs. SkyRide to Paradise Point offers opportunities to observe the town of Charlotte Amalie from a unique vantage point more than 700 feet above sea level. 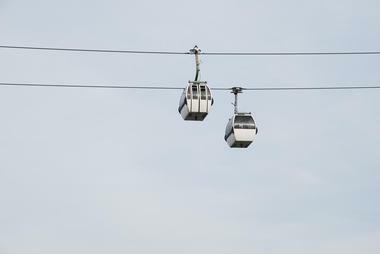 The skyride embarks from downtown Charlotte Amalie and carries up to eight passengers at a time in tram cars up Flag Hill to an observation area above the town at Paradise Point. The attraction, which was originally opened in 1994, has been voted as the Virgin Islands' best view for nearly two decades running, offering stunning panoramic views of St. Thomas at its peak. A number of public facilities are offered at the peak, including a restaurant and bar serving signature Bailey's Bushwacker cocktails. A shopping deck with 11 high-quality clothing and art retailers is also offered, along with a sun deck and a private dining room accommodating special events. Sunset Kayak Tour offers guided kayak tours through St. Thomas' famed Mangrove Lagoon, a protected ecosystem noted for its populations of indigenous birds and marine life. Sunset and nighttime kayaking adventures are available for kayakers of all skill levels, though participants should note that kayaking is a moderately strenuous activity that cannot accommodate all ability levels. 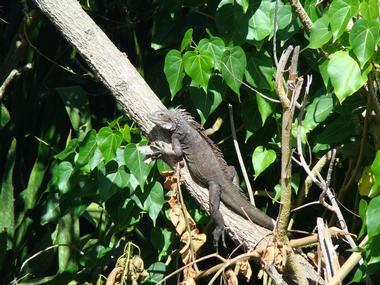 Tour participants are led by an experienced tour guide, showcasing the region's native wildlife and natural wonders. All tours depart from St. Thomas' Ecotours Marina and include all necessary equipment, including kayaks, paddles, and flotation devices. Light snacks and beverages are also provided for participants. The VI Cat is a rental and excursion catamaran docking out of St. Thomas' Frenchman's Cove dock, offering private excursions and rentals for groups of up to 80 passengers at a time. The boat is operated through Fun Water Tours, which offers a variety of dinner and excursion trip packages for Virgin Islands visitors, including group dinner sails and snorkeling adventure excursions to St. John and Turtle Cove. An onboard buffet may be scheduled for excursions, with beach barbecue services also available for rental. The catamaran is a family-friendly vessel and offers a state-of-the-art sound system, service and buffet tables, a stand-up bar, and restrooms for guests. It is recommended for rentals for weddings, corporate events, and private parties and social events. Tree Limin' Extreme Zipline St. Thomas is the Virgin Islands' only canopy zipline tour, located within the rainforest area atop St. Peter Mountain in St. Thomas. Following check-in, zipline groups are driven to the top of the mountain in a six-wheel-drive Pinzgauer Swiss Army truck and equipped with necessary safety gear. After instruction, course participants can soar at speeds of up to 35 miles per hour through six zipline courses, two sky bridges, and eight scenic platforms, all of which offer unparalleled views of the surrounding Magen's Bay, Tortola, and Jost van Dyke regions. 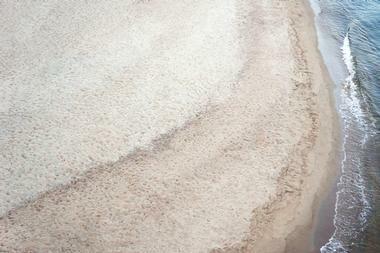 Excursions take between two and 2.5 hours, depending on group size and chosen path. After excursions, visitors can partake in Caribbean-style cocktails and rums at the course's Da Lime in Da Coconut bar, which showcases live music performances on Wednesdays. 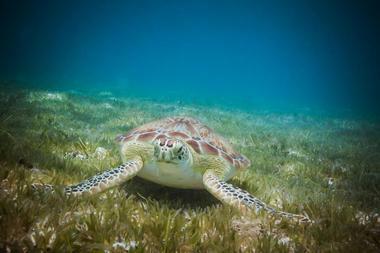 VI Turtle Tour gives visitors a chance to experience the sea turtles of the Virgin Islands on four-hour guided excursions with small tour groups. Each tour offers guaranteed up-close experiences with green sea turtles, taking visitors to a secluded spot away from St. Thomas' tourist-heavy Turtle Cove. Participants can choose between kayaking excursions and boat ride transportation that culminates in a 15-minute nature walk led by an experienced tour guide. Once groups reach the bay site, snorkeling instruction is provided, with time alloted for participants to snorkel and swim up close with turtles. The experience is documented with photography, which may be purchased after excursions for an additional fee. 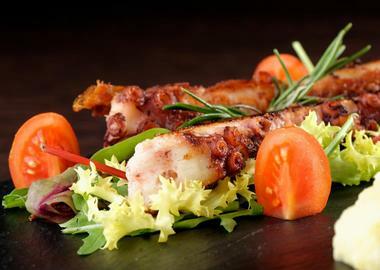 After excursions, participants dine at a beachside restaurant, with vegetarian and gluten-free menu options available. Virgin Islands Food Tours is a foodie excursion through Christiansted's historic downtown region, showcasing one of the Virgin Islands' top culinary destinations. The touring company was originally founded in 2016 and showcases the region's social and cultural history while stopping at several noted restaurants throughout the city. All excursions last approximately two to three hours and are led by experienced tour guides, with custom dishes available for tasting at each restaurant stop along the tour's 1.5-mile route. Two beverages are also offered throughout the tour, one alcoholic and one non-alcoholic. Vegetarian tasting options are available for substitute upon request, though the tours are not recommended for participants following strict vegan diets. Water Island, U.S. Virgin Islands is a 491.5-acre island that is administered along with nearby Hassel Island as part of the Water Island district of St. Thomas. The island is home to a population of more than 180 residents and is a primarily residential island, though it offers a number of day-use visitor attractions. Major attractions include Honeymoon Beach, a public-use beach located on the island's western end, and Fort Segarra, an uncompleted military complex which was used as a defense strategy site during World War II. Water Island is accessible via ferry service from St. Thomas' Crown Bay Marina, which takes passengers to Phillips Landing on the island. Though no hotels operate on the island, rental home properties are available periodically, along with campsites at Virgin Islands Campground. 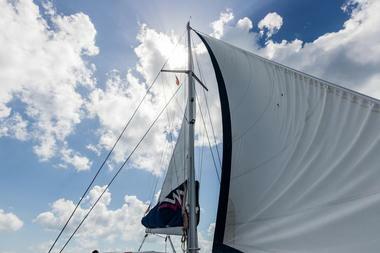 Big Blue Tours allow tour participants to explore the Virgin Islands aboard the private Gypsea Girl boat, a 31-foot excursion boat that reaches maximum cruising speeds of 30 knots. The company was founded by owners Sharp and Margaret Kemp and offers excursions overseen by experienced licensed United States Coast Guard captains. All excursions embark from either the Sapphire Marina in St. Thomas or the National Park Dock in St. John, exploring many of the region's top natural coastal sites. Complimentary snorkeling gear is provided for tour participants who wish to snorkel in the barrier reefs surrounding the islands, with beverages and Bluetooth music hookups also provided free of charge. Island-hopping and sightseeing excursions are also available, with custom excursions available for small groups. 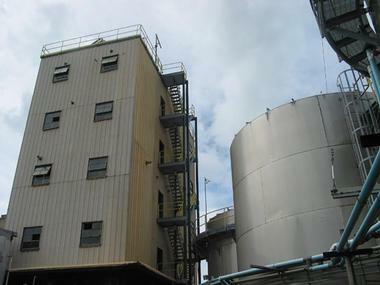 Cruzan Rum Distillery is the leading supplier of American private-label rum, one of two rum manufacturers included on the American Whiskey Trail. The company has been operated by the Nelthropp family since the mid-18th century, known around the world as one of the top rum brands for more than two centuries. Visitor tours of the distillery's facilities are offered, including tours of the Nelthropp estate's Great house and the property's former colonial-era sugar mill. Following tour experiences, visitors are welcome to purchase rum for take-out and take-home sales, including up to six bottles allowed for return to the United States. Flavors of St. Thomas Food Tours is one of the Virgin Islands' top culinary tours, featured on CNN and the BBC and in publications such as USA Today. 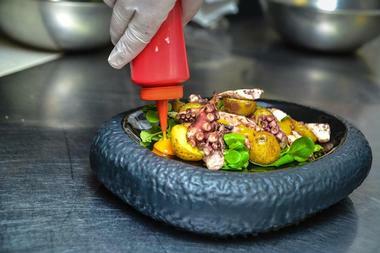 The company began offering food tours out of San Juan, Puerto Rico in 2009 and has expanded today to offer excursions throughout St. Martin, St. Thomas, and Atlanta, Georgia. All tours are led by experienced, engaging tour guides, who elaborate on the region's cultural and culinary history during walking tours. A full traditional lunch is served in courses throughout the tour's restaurant stops, with Caribbean rum cocktails also served for participants over the age of 18. Private tours are also available, with customizable tour options and special attention to small groups. Historic Hassel Island Kayak, Hike and Snorkel offers opportunities for outdoor excursions on Hassel Island, located within the Virgin Islands National Park. All tours depart from Frenchtown Harbor, located across from the port of Charlotte Amalie, and travel to natural and historic sites on Hassel Island, including Garrison House, Fort Willoughby, and a number of colonial-era ruin sites. 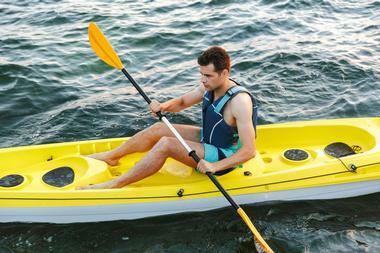 Two-person kayaking excursions offer opportunities for a 20-minute ride to the island, with hiking, beach relaxation, and picnic opportunities available on land. Snorkeling equipment is also offered with tours, with snorkeling instruction available upon request. Visitors are advised to book tours in advance, as reservations are accepted on a limited basis. Visitors should also note that kayaking tours are moderately strenuous and do not accommodate participants of all ages and ability levels.